Miami Beach 411 : Restaurants : Harrison's : Restaurant and Club on Washington Ave. in Miami Beach, FL. For info call 1-305-672-4600. Harrison's Steakhouse on Washington Ave. This page allows you to find Menus, Customer Reviews and Online Reservations for Harrison's in Miami Beach. Click HERE for Harrison's Online Reservations. 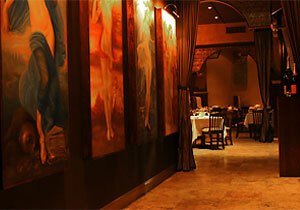 Cuisine: Steakhouse specializing in Prime Cut, aged steak and an extensive wine list. After dinner stay for the party. Harrison's Lounge is the place to be seen on Fridays with Hip Hop and R&B, Saturdays - House music plays until the early morning. Harrison's is located at 411 Washington Ave. in Miami Beach FL, 33139. 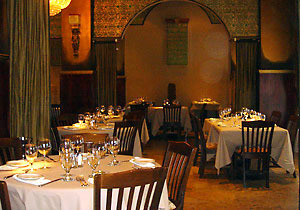 Nearby restaurants include: La Locanda, Tuscan Steak, and FLB. Use our Miami restaurant map to find the exact location. Use this eform to submit a reservation request to Harrison's. Harrison's in Miami Beach's Dining Guide.